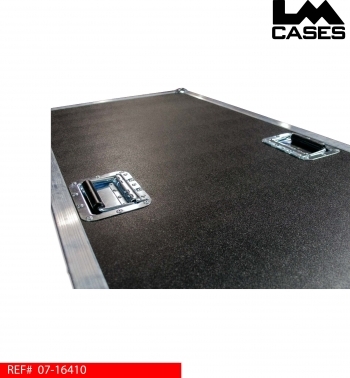 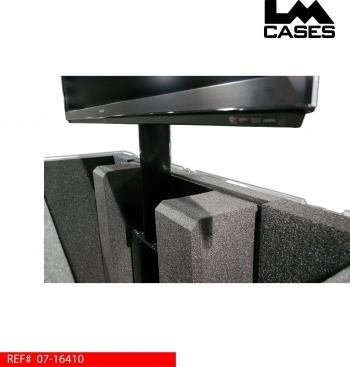 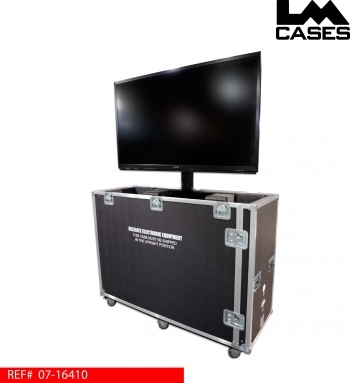 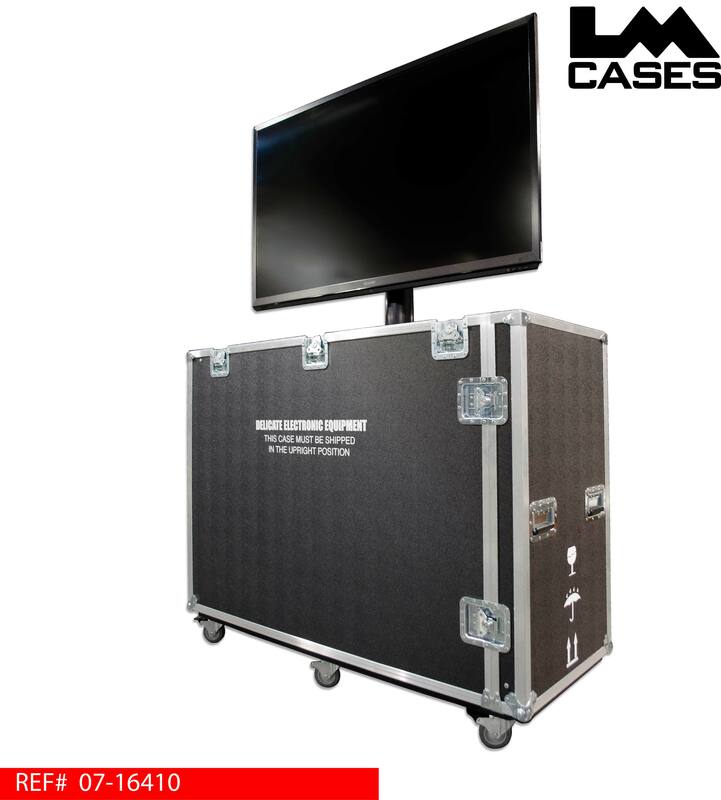 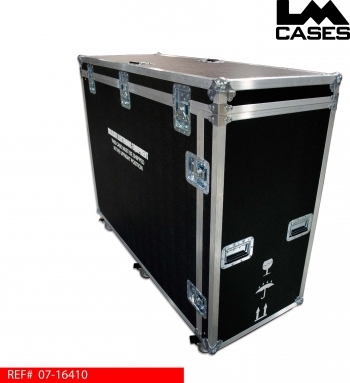 This case is designed to hold a Sharp Aquos LC-60LE745U monitor on a Chief electronic lift. The case features a removable top lid that is designed to be removed with a single person by grasping the two top center mounted handles. 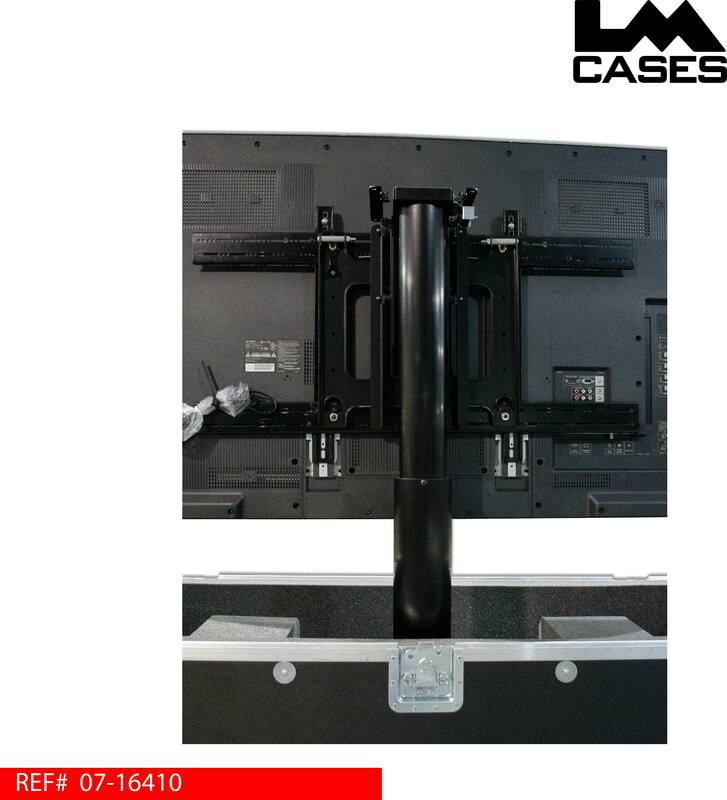 A side lid is provided for easy access to the bottom of the case and for maintenance. 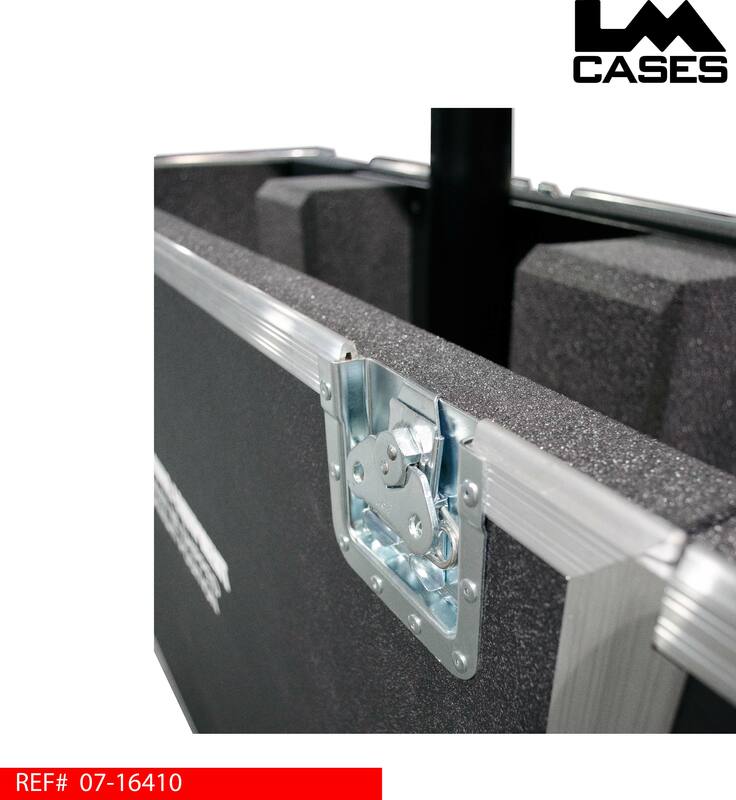 The case is designed with trade shows in mind, all latches lock on themselves to provide a clean look and to prevent any injury due to a sharp protruding latch. The exterior case is built out of 3/8" plywood and features 6 - 3.5" casters and custom shipping silkscreens.